How sweet of them to test it for you! 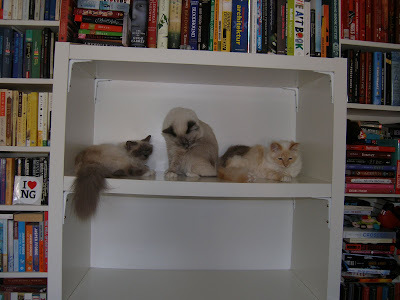 I can't imagine why your shelves collapsed. So cute! That would totally be my cats. They look like they are on display for purchase. I will take all three, please! Oooh, kitties for sale. Can we rent them first, to make sure they are sweet? I'm trying to talk myself OUT of adopting a kitten. pros and cons! 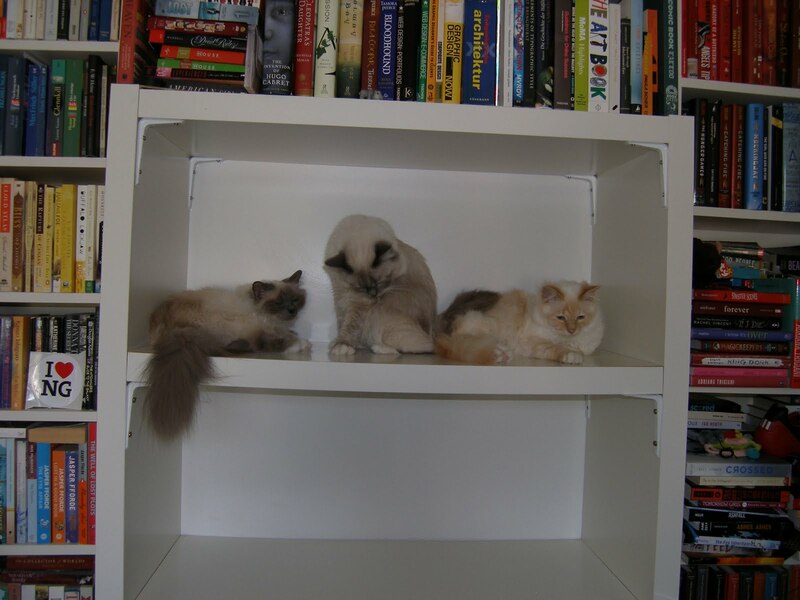 Awwww, they just want to be with your books! So cute.